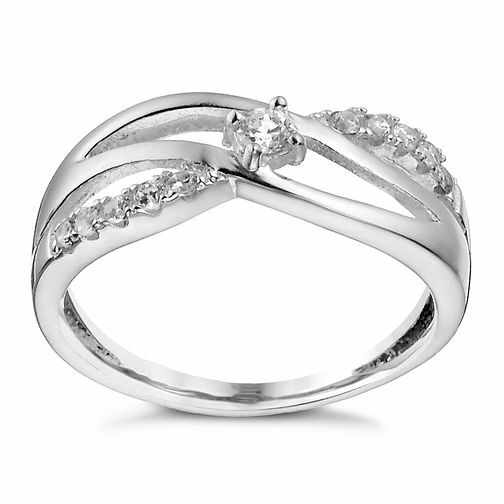 An intriguing sterling silver crossover ring set with glamorous and glittering cubic zirconia. The perfect accessory for a look that works wardrobe wide. Size P.
Sterling Silver Cubic Zirconia Crossover Ring - Size P is rated 1.0 out of 5 by 1.